Snowboarding, it is fun, adventurous and the best game during winter. There is a no better wow moment that having the right snowboard under your feet, and you definitely can’t wait for what comes next, you want to kiss the sun goodbye forever and give countless embraces to the snow and snowboard forever. Trust me it is a heavenly lifetime adventure, exactly why you should get it right from the first time. 1) Buy only the best snowboards. 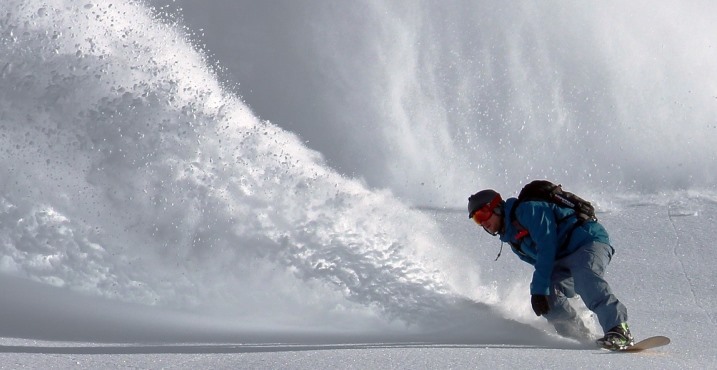 The market offers a variety of snowboards, thus research widely on the best snowboards. Look for convenience and comfort. The snowboard should best suit your snowboarding ability and riding style. 2) Wear the right protective gears. This will not only make sure that you are safe but it will help you learn. 3) Avoid ice and look for powder. 4) Check out for good weather. Always avoid snowboarding in bad weather when the visibility is poor. Seeing where you are going will help you move faster. Your eyes control the direction your body will go into. If you want to be the best, you must learn from the best. Read widely, watch videos from the internet and then finally get someone to train you. Learning both the regular and switch riding styles. Be ready to learn new tricks. Practice makes perfect. Learn and practice new tricks and styles. If you do not enjoy what you are doing, you are more likely to perform badly. Make sure you are having fun in everything that you learn. Ensure you have worn warm clothing; if you are feeling cold it is most obvious that you will not enjoy the experience. We are sure you need great results without so much hustle; so why not try these tips next time you go snowboarding. 1) Look out for good weather and clear visibility. 2) Avoid snowboarding on black ice. 3) Familiarize yourself with the terrain. 4) Wear the right protective clothes. Snowboarding is a vigorous exercise that will require you to be fit, strong and healthy. It is critical to know the best exercises to increase your strength to weight ratio. Increasing your strength and flexibility always results to great performance and speed. You obviously want to have fun and feel like a pro when you go snowboarding so here is a list of exercises that will help you look like one as well as reduce any risk of having injuries. Injuries can be a total hindrance to snowboarding thus we need to avoid them and focus on our goals. Snowboarding involves a lot of twisting back and forth through our abs. you can use a medicine ball press to target the core and the shoulders.This is very effective in strengthening your body. You definitely need this exercise to strengthen your legs, this will help you make that high big jump that you have always admired your friends make and thus moving faster. This exercise is aimed at increasing the body cardiovascular activity, with stronger lungs and heart you will have to worry less about getting tired too quickly. This also helps you maintain a certain speed as well in snowboard faster. With this exercise, you will be guaranteed of a strong upper body and back. The back has the greatest role in supporting the body and maintaining its balance. This way you can be guaranteed of a great snowboarding experience and increased speed. It is unfortunate but expects falls when you go snowboarding. With this exercise, we aim to help you strengthen your upper body, chest, and shoulders. This helps reduce the impact when you fall thus have less significance on your speed. We can never deny that snowboarding fast is fun; it is all about having fun in style Next time you go snowboarding keep in check all these tips and remember we would like you to share your experience with us.